Auch is the capital of Gers (previously called Gascony) in the Midi-Pyrenees region and about 80 kilometres to the west of Toulouse. Auch has an attractive medieval centre and it is the main square, the Place de la Republique, which is at the heart of the old town and is the best place to start your visit. The cathedral in Auch, called the Cathedral Saint-Marie, is on this square and has recently been nominated a UNESCO site as part of the ‘Worldwide Cultural Heritage on the roads to Compostella’. 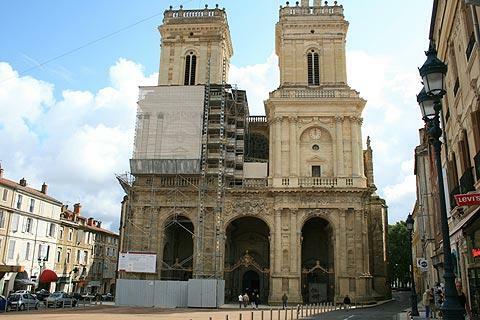 It is an attractive cathedral which was begun in 1489 and completed two centuries later. It has a classical façade with two 16/17th century towers in Renaissance style. Inside the cathedral you can see the hand-carved oak stalls and stained glass windows by Arnaud de Moles. On one corner of the same square Auch Tourist Information Office is in one of the nicest buildings of the town and is a half-timbered building resting on stone arcades that was built in the the 15th century. Pick up the tourist guide for Auch from this tourist office: there are two walks you can do in order to see the main sites. The ‘red route’ is a 45 minute walk in the medieval centre and the green guide is a 45 minute walk encompassing other sites in the town. The guides are available in English. After looking at the cathedral in the centre of Auch wander round to the Place Salinis and see the Tour d’Armagnac. 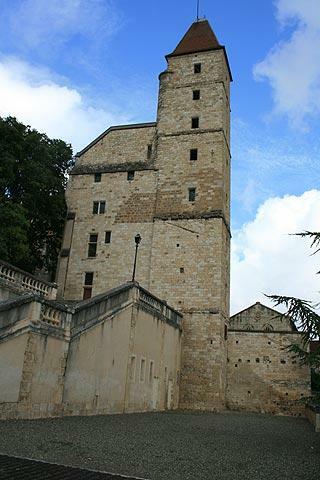 This tower is 40 metres high and was used as a prison in the 14th century. Each of the seven upper floors in the tower was a prison cell. From here the Escalier monumental (Great Staircase) leads down to the lower part of Auch. The Staircase is 35 metres high and has 234 steps. From the top there is a good view over the Gers valley with the Pyrenees in the distance. At the bottom of the staircase there is a bronze statue of d’Artagnan, one of the king’s musketeers, who was born 30 kilometres from Auch. There are several other sights of interest in the town, including a lovely stone and wood staircase in the inner courtyard of the Maison Henri IV where Henry allegedly stayed with Catherine de Medicis, and Auch Town Hall, built by Bursar d’Etigny, which houses a lovely Italian-style theatre. The Musee des Jacobins is housed in a former Dominican Convent built in 1386. Inside is a collection of pre-Columbian art (one of the best in France) and artefacts from the Gascon culture. The Jardin Ortholan and the Coulome Park also offer a chance to relax or take a picnic. After visiting the historic centre of Auch, called the Pousterles Quartier, continue to the river where there is a four kilometre ‘discovery trail’ to follow, or you can enjoy the planted banks and relax. This region of Gascony is visited by those wanting a chance to appreciate the quiet roads and the unspoiled countryside, and it is an excellent region for cycling...and relaxing away from the tourist crowds. There are numerous small villages and hamlets nearby, many with ancient origins, that will typically only take an hour to explore but together make a pleasant excursion, such as Castelnau-Barbarens, Montégut with the Fairy Tower (Tour des Fées), Jegun to see the ancient centre of Biran and Pavie with its picturesque bridge. 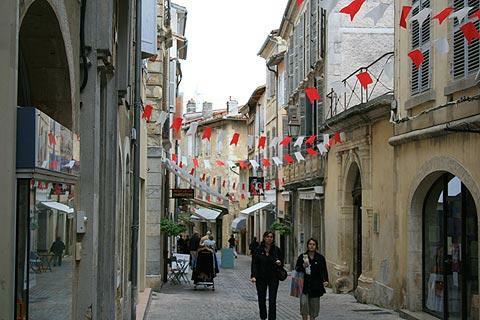 Among the villages you will enjoy visiting in the region further afield are Lavardens and Sarrant.